Frank M. Jordan, MBA is a nationally recognized health researcher (5 U.S. Patents issued or in process), business executive, civil servant, speaker, author and national media personality; at present focused on the health industry, speaking engagements, writing and civic service. Jordan now appears as writer and host of Podcast, "Frank Jordan's Healthy, Wealthy and Wise Commentaries" formerly broadcast nationally on Sirius/XM Satellite Ch 131, following Pastor Rick Warren's "Daily Hope". 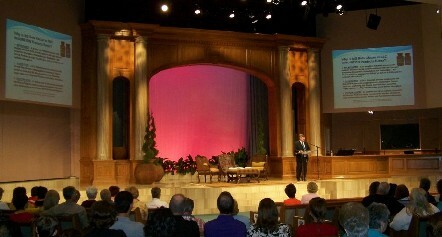 To hear any or all of more than 400 FJ HWW Audio Commentaries click on Frank Jordan's Commentaries and to see 55+YouTube videos go to www.nsc24.com . Public service on both a local, regional and state level have been a continuing part of Frank Jordan's life. From serving as a Liberty City Council member to Texas State Director of the American Heart Association to the regional H-GAC Gulf Coast Economic Development Board; to his local Chamber of Commerce where he was selected as Citizen of the Year in Liberty, Texas for 2018. Frank contributes through service in multiple positions and has participated in obtaining more than $2 million in grants for infrastructure in Liberty County, Texas, including Liberty, Texas. Jordan also now chairs a major loan committee for the 13 counties in H-GAC lending millions to area citizens and municipalities while being a Director at large for the Gulf Coast Economic Development District's rural areas and communities in 13 Texas counties. Jordan was one of the major influences in enabling GCEDD loan funds to be utilized for municipal equipment and in this regard spearheaded a new Tanker Fire truck for Liberty, Texas and the surrounding area. Area economic development has been a primary focus, having also chaired and participated in many formats to contribute toward bringing major industry to southeast Texas through the years, including National Pipe and Tube and Boomerang Tubular. In addition to Frank serving on the H-GAC Gulf Coast Economic Development District as a Director, he also is a member of the Liberty County Economic Development Committee. Frank and wife, Connie Jordan, also have an extensive commercial real estate portfolio in Texas. Frank and Connie also have a national non-contributory ministry ( www.gotohim.org ) as the Hope Inspiration Ministry - H I M, which has benefited thousands spiritually in recent decades. Frank Jordan is a health-talk radio pioneer and former Host and Producer of “Healthy, Wealthy & Wise,” a top-rated national health-talk show broadcast nationally from 1998 through March 2013 on Sirius/XM Satellite Radio Channels 131 “live,” plus simulcast. More than 3,250 shows were broadcast, of which 2,550 were heard every weekday and some on weekends on Salem's Family Talk Satellite radio beginning in 2004. Jordan has additionally appeared on ABC, CBS, NBC and FOX affiliate TV stations, in addition to multiple nationally televised interviews on the Discovery Health Network, TBN on Doctor to Doctor and currently each weekday with Doug Kaufmann on Dish, DirecTV, Sky Angel and numerous other national TV cable systems, including Comcast, on the nationally distributed TV show, “Know the Cause”. The Know the Cause Interview schedule is available on www.hwwshow.com with webcast available on the day of interviews on www.knowthecause.com . Multiple seminars and speaking events on enhancing your health and quality of life, with emphasis on how to empower the immune system, have been conducted both individually by Jordan and in association with Doug Kaufmann, Dr. Richard Becker MD, Dr. Lee Cowden MD and other health experts. The biological response modifier for the immune response, Beta glucan, is Jordan’s primary interest, including U.S. Medical School research, formulations, production, marketing and distribution. Jordan is Chairman, CEO and Research Director of Nutritional Scientific Corporation (NSC); a corporation active in research at the University of Nevada School of Medicine, intellectual properties and marketing of MG Beta Glucan nationally. 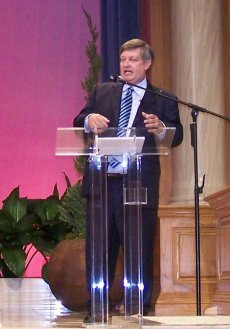 From early days as a radio host and commentator, Frank Jordan developed rhetorical skills that have led to public speaking as a lay preacher, lecturer, after-dinner speaker and national media personality. Jordan has authored several books and articles on diverse subjects ranging from his most recent, “Frankly Speaking,” to previous ones including “Beta Glucan – Immunition To Win Your Body War,” and the “Lessons in Life and Faith” series. More than 300 “Frankly Speaking” articles by Jordan have been published to date in newspapers, with publication now weekly in the "Gazette" in Texas with several presented on the web at www.immunitionreports.com . For further information for appearance as MC or Speaking engagement availability, contact Frank Jordan at 888-541-3997 or by email at fjordan@nsc24.com .